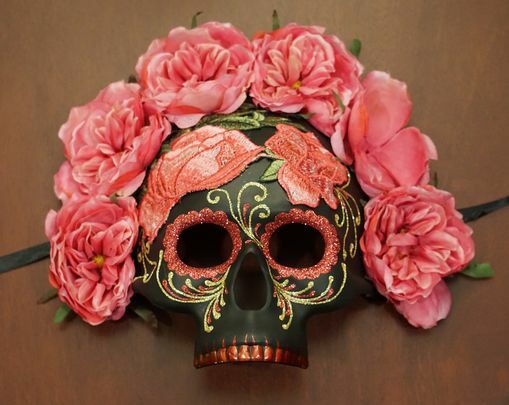 La Calvera day of the dead mask is hand glittered and accented with embroidered silk flowers. This mask is made of a light weight durable PVC. Mask comes with black ribbon Ties. This Day of the dead mask is also available in purple and red.